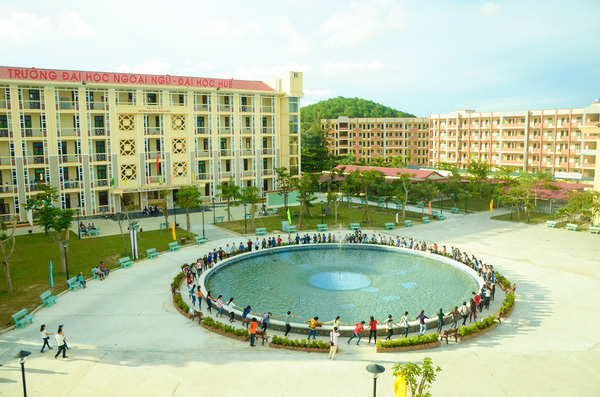 University of Foreign Languages, Hue University was established on July 13, 2004, by merging foreign languages departments of all affiliated universities of Hue University. Continuing the tradition established during the 60 years of the development of Hue University, University of Foreign Languages, Hue University is actively working to enhance its performance to become one of the leading universities in Vietnam in the fields of foreign language learning, language study and culture. University of Foreign Languages, Hue University offers training programs and carries out research in the fields of language and cultures, aiming at enhancing foreign language capability for Vietnamese people, especially the Central and the Highland of Vietnam, and foreigners for the understanding and ties among the peoples in the world. Since 2005, HU-UFL has maximized its competitive edge by offering new training programs and increasing its enrollment. Languages being trained include English, French, Chinese, Russian, Japanese, Korean languages and training programs vary from pedagogy, translation-interpretation to language and culture, tourism. Apart from traditional majors, the university also provides training programs on International Studies, American Studies, Vietnamese Studies with submajors of language, culture and tourism. HU-UFL campus has an area of 6.6 hectares with the administrative building and three lecture halls of 75 classrooms equipped with elevator systems and modern multi-functional equipment. The university library offers more than 16,000 books and reference materials in electronic format. The National Foreign Language Project 2020 section has more than 2,500 valuable titles from leading publishers around the world. At present, the college has 09 departments, 07 functional divisions and 02 centers. The total number of academic staff at HU-UFL is over 300, including 4 associate professors, 37 PhDs, 158 masters and 35 senior lecturers. HU-UFL also welcomes foreign teachers to work under volunteer programs or exchanges teachers with foreign university partners, offering high quality language education at the college.